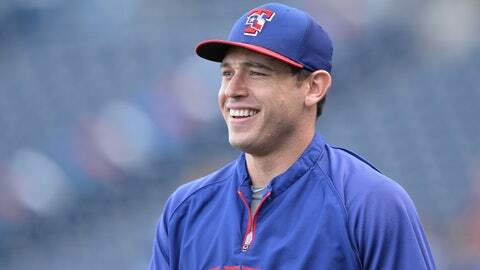 Image: Former Texas Rangers second basemen Ian Kinsler is now with the Tigers. When Michael Young asked the Rangers to trade him in Feb. 2011, saying he had been "misled and manipulated," some dismissed him as a selfish player who was miffed after getting asked to change positions. Now that Ian Kinsler has taken an even more direct shot at Rangers general manager Jon Daniels, some will say the second baseman merely is angry over getting traded — or, at least, angry about the way he learned of the deal. Shooting the messenger is the easy thing to do, particularly when the messenger is well, a bit of a knucklehead. But there is a larger issue here, an issue that goes beyond the Rangersâ latest outbreak of mudslinging. 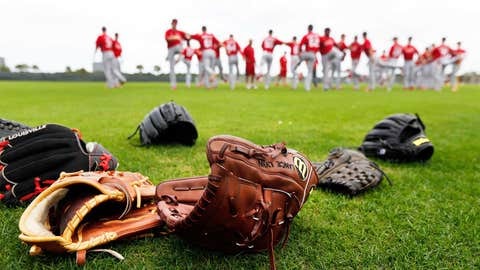 The issue is the teamâs performance, which in the past two seasons has resulted in second-place finishes to the Athletics, a club that operated with about half of the Rangersâ payroll. We can debate whether Daniels is at fault when he occasionally ticks off prominent players. We can even debate the merits of his in-and-out negotiating style, which occasionally frustrates agents and rival clubs (the Kinsler-for-Prince Fielder deal actually was an exception for Daniels, coming together within two days). When a team wins, such concerns usually are overlooked. But when a team falls short, little things rise to the surface and frequently mushroom into something more. At least in one sense, Kinsler calling Daniels âa sleazeballâ is not a little thing; I canât recall a player ever describing his GM in such fashion. For that matter, itâs rare that a player even chooses the words that Young did in portraying the way Daniels treated him three years ago. Kinsler wasnât talking about his own dealings with Daniels; he was giving his view of Danielsâ conduct during the GMâs power struggle with Nolan Ryan, a struggle that led to Ryanâs unnecessary departure and inevitable re-emergence with the Astros, the Rangersâ cross-state rival. No wonder Kinsler tried to backtrack Tuesday at the Tigersâ camp in Lakeland, Fl., saying, âthe quotes about the general manager were taken a little out of context.â He also said that his wish for the Rangers to go 0-162 was âa joke.â But he did not deny that he was quoted accurately. Frankly, Kinsler sounded most ridiculous complaining about the Rangers asking him to lead their young players âwhen the only thing I should be worried about is how Iâm performing in the game.â And he sounded most sympathetic telling the writer, Robert Sanchez, that Daniels was the last to contact him about his trade to the Tigers, something for which the GM has no excuse. Manager Ron Washington, the recent recipient of a one-year contract extension, predictably defended his GM, calling him, âone of the best general managers in the gameâ (true) and saying that âweâve been united since the day I arrived hereâ (uh, Wash, might want to check with Nolan on that). Daniels is partly a victim of his own success â the Rangers are proficient at acquiring and developing young talent, and tensions naturally arise when an Elvis Andrus forces Young off shortstop and a Jurickson Profar threatens Kinsler at second. Young since has made his peace with Daniels and the club, retiring as a Ranger. And while other players likely share Kinslerâs sentiments about the GM â itâs never just one who is disgruntled – employees resent their bosses in virtually every industry. I doubt any of that will affect the Rangersâ play, just as I doubt that the players will follow Danielsâ challenge to get âangryâ about Kinslerâs remarks. Again, all that matters is what happens on the field. Both Washington and Daniels are signed through 2015. The Rangersâ payroll this season will exceed $130 million, a franchise record. And since reaching the World Series in â10 and â11, the team has gotten knocked out in two straight wild-card games, first by the Orioles, then by the Rays. Another disappointing season, and ownership likely will start pondering whether a change in management is necessary. And Ryan, who âs—s goldâ in Texas, according to Kinslerâs indelicate description, might indeed grow in stature, his absence making hearts grow fonder. Win and the noise goes away. Lose and it only gets louder.